After a sea-sickening voyage, George Frederic Handel arrived into the harbour of Dublin on November 18, 1741, possibly landing on the pier where the Clarence Hotel is today (Wellington Quay). He quickly sorted himself into his lodgings on Abbey Street (today’s Upper Abbey Street near Liffey Street – alas his house has since been demolished). Almost immediately a busy round of engagements started for the famed composer and he was feted by the great and noble, by charitable institutions, music impresarios and the churches who regularly performed his music. The court of Dublin Castle, led by the Viceroy himself and attended by the aristocracy of the land, indulged his every wish. Competition was keen to invite the presence of the man who many thought of at the time to be the world’s greatest living composer. So why did such an eminent personage come to a city which you might have thought would was a bit of a European backwater. Well, you couldn’t be more wrong to have thought of Dublin then as a non-consequential place. In fact, it was considered to be the second city of the British Empire at the time and several internationally famous musicians, composers, actors and performers in the arts were frequent visitors. What inspired Handel, German-born but now a naturalised British citizen, to come to Ireland was primarily an invitation he received from the Viceroy in Ireland, William Cavendish, Duke of Devonshire. It came at a very appropriate time for Handel as his career in England was faltering due to Italian opera, previously his main output, beginning to go out of fashion. He also had incurred serious debts arising from some failed business enterprises. 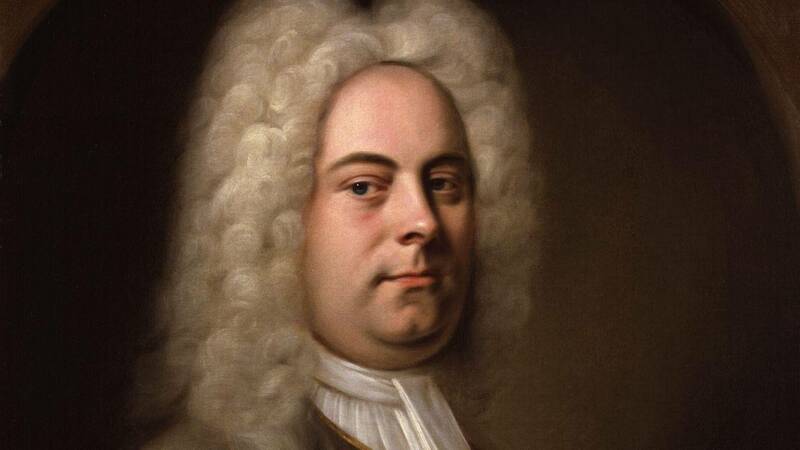 Once settled in Dublin, Handel was not one to hang about. He correctly sensed an insatiable appetite in Dublin for his music and he organised a busy programme of public concerts of his work. The first six concerts were quickly sold out and, ever-conscious of solving his financial predicaments, he promoted a further six. Cutting out the middleman the canny Handel sold all the tickets himself from his own house. Also, knowing the lesser value of the Irish currency, he calculated his sales in English guineas and shillings. All this time, in the midst of a whirlwind of concerts and social engagements, Handel was planning to launch on an unsuspecting world his latest creation, Messiah. The oratorio (an oratorio being essentially an opera without costume or acting) was written in an incredible short time of around 3 weeks in London, before he left for Dublin. He fixed April 13 for his premiere and being a man of generous spirit (which he could now literally afford to be) he decided to offer all the proceeds from the first performance to three charities. Dublin may have been a rich, progressive city but the rising tide didn’t lift all boats. Most of the population, mainly oppressed Roman Catholics, was grindingly poor in a city governed by a privileged Protestant elite. The three fortunate charities were Mercer’s Hospital, the Charitable Infirmary and the Society for the Relief of Imprisoned Debtors. His venue for the historic occasion would be the recently opened Neal’s New Musick Hall on Fishamble Street. Handel assembled singers and musicians of the highest quality available. His orchestral leader was Dubliner and personal friend, violinist Matthew Douberg. One of his singers was actor and contralto Susannah Cibber, sister of Thomas Arne, the composer of Rule Britannia, also in Dublin at the same time promoting programmes of his own music. The choir was drawn from the cathedrals of Christ Church and St Patrick’s. Jonathan Swift, Dean of St Patrick’s and author of Gulliver’s Travels, was initially vehemently opposed to the use of his singers until it was explained to him that the performance was for charitable purposes. The music hall could accommodate 600 patrons but Handel was anxious to earn as much as possible for the charities so to squeeze in even more he ordered the men not to wear their swords nor the women to don their wide skirt hoops! In recognition of his memorable visit to Dublin there is a free public performance of Messiah extracts held on the street outside the site of the former music hall on Fishamble Street on April 13 this year at 1.00pm (details for this and other associated events see www.olcs.ie/wp/events). Finishing in time for the street concert this author will lead a tour on that day celebrating Handel’s visit to Dublin and his enrichment of the life of this city. The tour will start from outside the church on St Andrew’s Street (beside the Molly Malone statue) at 10.30 am, price €14. See www.walkingtours.ie.